People hardly know about the importance or saving bird habitats. Typical bird habitats consist of bushes, trees, grasses, and water resources, which also serve as an essential ecosystem to filter air and help us fight against the bad effects of global warming. Habitats serve as the source of food and ideal shelter for birds of various kinds. Birds offer us invaluable support in many aspects of our daily living including rodent control, eliminating pesky insects, carrion clean up, seed distribution, and pollination etc. Unfortunately, many of such birds which offer unrelenting support to mankind are getting eliminated lately as their natural habitats are getting destructed with the effects of urbanization, oil sands, gas exploration etc. Bird habitats are vital in terms of breeding of birds, migratory destinations, and stopovers for migrant birds. Wetlands and Boreal forests had played a crucial role in the survival of many of the bird species in the Americas. Shrinking of natural bird habitats in turn endangered many of the bird species and extinction a few others. 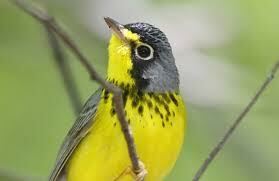 One such example is Canadian Warbler which had Boreal forest as it natural habitat, now is on the verge of extinction. As bird habitats decreased considerably in size, billions of birds from different species from across the globe, which used to nest at these places every year face the fear of extinction now. The lack of consideration for saving bird habitats is not just in terms of urbanization, but many other sort of human intervention too affect it adversely. One example you can see is of coffee plantations where men fully cut down the vegetation and causing soil erosion to evade all animals and birds from that region. This is done to get the coffee bean ripen faster to earn some quick bucks, but the impact of this on birds is really heartbreaking. As an individual who likes birds and want to do something in this regard, you can also try your bit in saving bird habitats and to protect birds. Gourd birdhouses are found to be a great initiative in terms of compensating for the lost of natural habitat of native songbirds of America. These sorts of birds usually build their nests at the tree cavities. If you live in an area where trees are lost due to urban development and there are only fewer places around for birds to nest, then you can take some initiatives. Birds will surely prefer to nest in the gourds over man-made birdhouses as an alternative. If you leave some dried seeds, fibers, and other materials to help them make nesting inside the gourd, then these birds will happily hum around your place. Ensure that you offer them the most natural material for nesting, but never resin or plastic. There are four basic elements, which make wild birds to be lured to specific bird habitats. These are food, water, cover and shelter. Once if you can make your yard comfortable for them with these elements, birds will surely love to be there. However, this requires a bit or learning and knowledge about various types of birds, their food habits, methods of nesting etc., for which you can use endless resources available online.